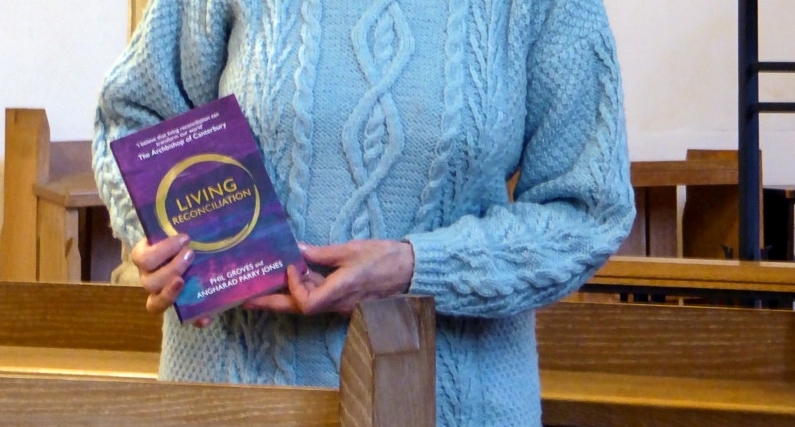 ‘Living Reconciliation’ shows how God calls us to live in a renewed relationship with him, looking outwards with him in love to others in the diverse world he has created. (That is my understanding of one purpose we can take on for Lent). Sometimes people ask:”What is this life all about?” ‘Living Reconciliation’ answers that question for those who are searching, because it acknowledges our vulnerability, offers hope, and a way to live. We cannot ignore local, national and international conflict realities of our time. ‘Living Reconciliation’ is active mission that involves us in conversation and listening with an open mind to gain better understanding of ‘the other’. York has a tourist industry attracting many international and national visitors, some of whom come into St Martin’s in the city centre. 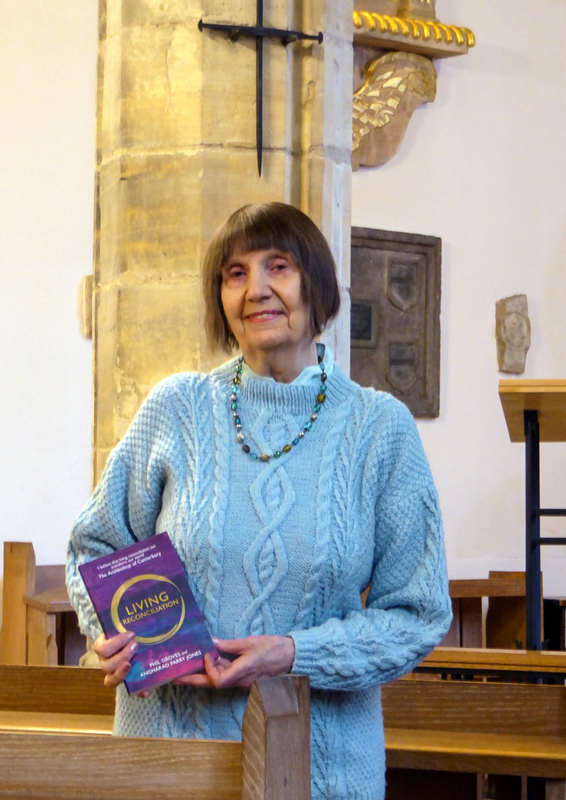 As a form of outreach and mission to visitors, each month, (or during a season such as Lent), we provide a pew prayer leaflet that visitors can use if they wish, and take away. On the reverse is printed the Coventry Litany of Reconciliation. St Martin’s York is a church with a ministry of Reconciliation and a place of pilgrimage. Often known as St Martin le Grand and most famous for the clock overhanging York’s main shopping street, St Martin dates from at least the 11th century and was one of York’s main parish churches and the civic church. It was largely destroyed by bombing on 29 April 1942. In the 1960s the surviving south aisle and tower were incorporated in a rebuilding on a smaller scale under the direction of the leading church architect George Pace. It was re-hallowed in April 1968 with a dedication to peace and reconciliation. It is open daily. St Martin’s dedication to peace and reconciliation, and as a shrine of remembrance, originates from its re-hallowing in 1968 after being bombed in an air raid in 1942. By an extraordinary coincidence, 11 November, which is marked nationally as Remembrance Day, is also the feast day of St Martin of Tour, patron saint of soldiers and of this church in Coney Street. More recently, peace and reconciliation at St Martin’s has generated not only from world events, but also from the many prayer requests left in the church by visitors from all over the world, as well as from those who may find it a quiet space for regular, private prayer.